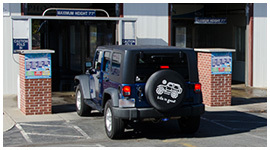 Quick N' Clean is Taunton's largest touch-free automatic car wash. In addition we offer self service power wash bays, Mega-Vac turbo vacuum stations and top quality car care products. 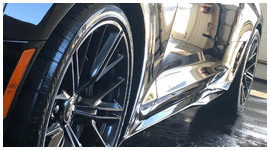 Avoid the headaches of maintaining your vehicle's appearance with our professional detailing services. From personal vehicles to professional fleets we've got you covered. 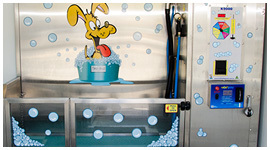 Open 24/7/365, our K9000 Dog Wash system with high-quality Tropiclean care products makes it easy to bathe your dog in a secure, clean, pet-friendly environment. Purchase the Quick N' Clean Wash Cards in increments of $50 and receive an extra $10 for every $50 spent free of charge. The Car Lover's Ultimate Package is an easy, cost effective way to keep your car clean year round. Learn more here. Quick N' Clean offers propane 7 days a week from 8AM-5PM: only $16 / 20lb tank. Fill-up your empty propane tank today!